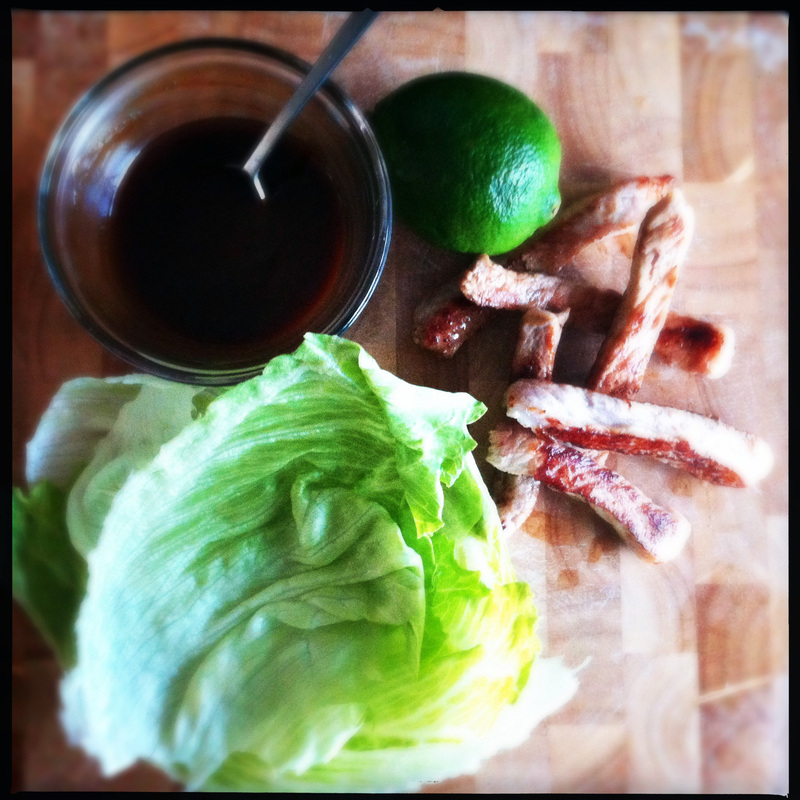 hoisin pork lettuce wraps with asian peanut slaw | omfg. so good. Iceberg lettuce has gotten a bum rap. But what should it expect, it might just be the most boring food known to man. Thankfully I’m a good friend, someone who will be brutally honest. Just yesterday I told him “Bergy, you should really think about putting some meat on your leaves, accessorizing a bit. A little sauce might turn some heads.” We had a fun afternoon, I’m talking full-on makeover. Rinse lettuce leaves and place on paper towel to dry. Trim excess fat from pork and slice against the grain in 1″ strips. Heat olive oil in medium skillet and add the pork. You’ll be tempted to add salt. Don’t. The hoison sauce has more than enough flavor. I made the mistake of salting the pork the first time I made these and it totally overpowered the entire meal. I repeat, Don’t. Add. Salt. Brown the pork to desired doneness, around 2.5 minutes on each side for medium. Remove the pork strips from the pan and set aside on a plate. In a small bowl combine the hoison, lime juice and water. Whisk it up and WALA, you’ve got the sauce. 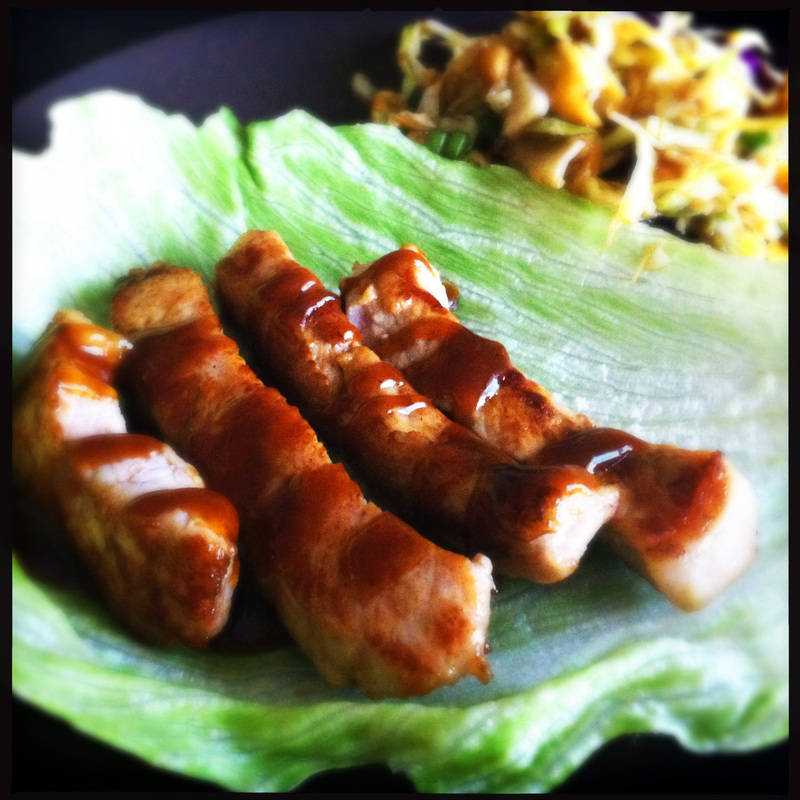 To serve, arrange a few leaves of lettuce on each plate, dress each with 3 – 4 strips of pork and drizzle with some sauce. And just like that, our old pal, Bergy looks like a brand new man. By the end of the day, Bergy felt so good about himself he decided to meet up with his buddy. Dice the green onions and coarsely chop the peanuts. 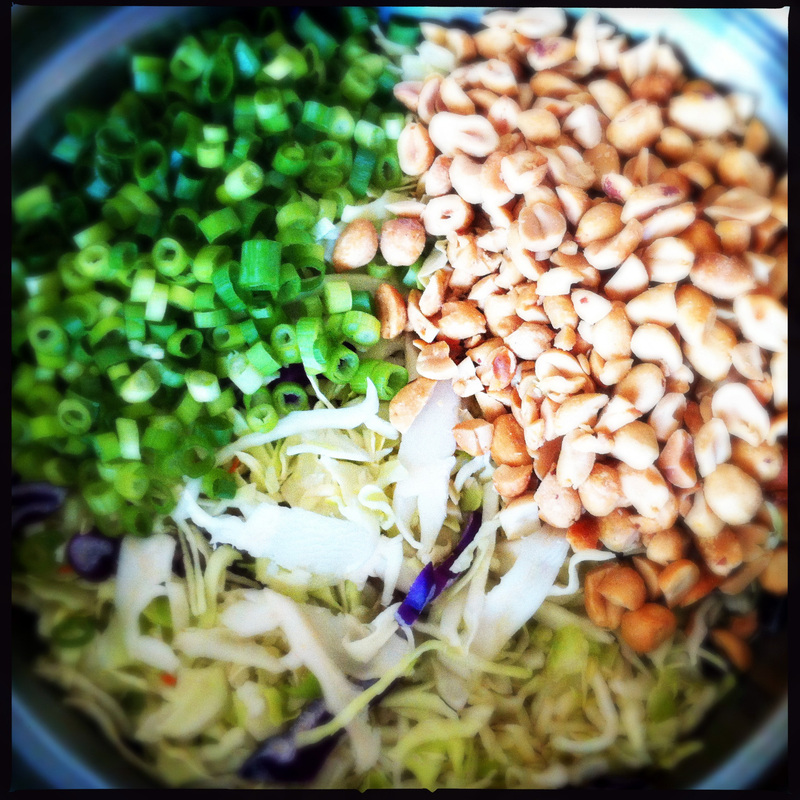 In a large mixing bowl, combine the cabbage blend, onions and peanuts. In a small bowl, combine the remaining ingredients and whisk to blend. Pour the dressing over the cabbage, onion, peanut party and toss to coat. How easy was that? 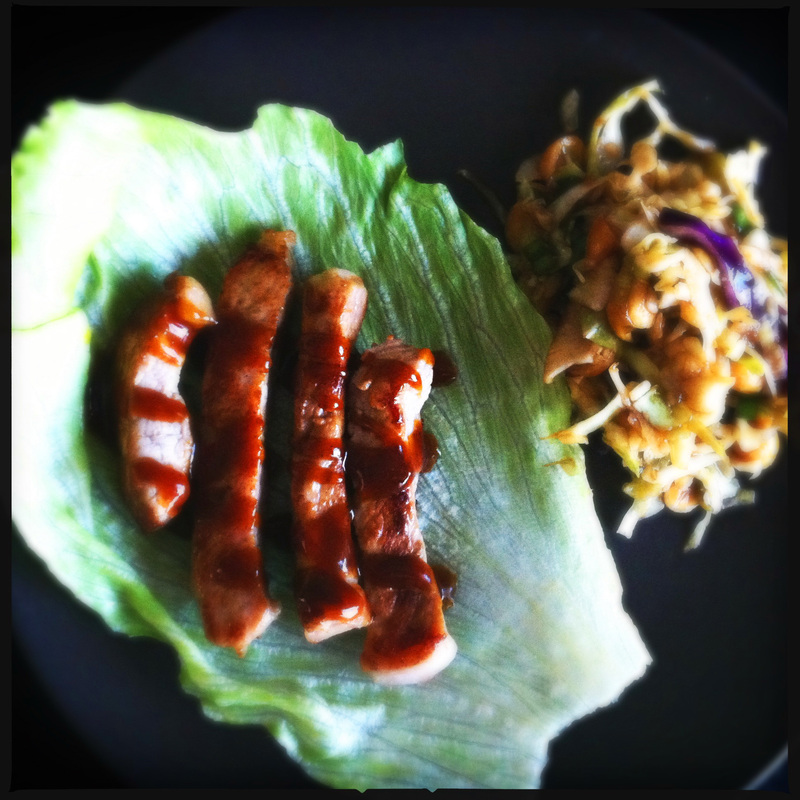 Now, I dare you to make these two recipes together and eat the peanut slaw INSIDE the pork lettuce wraps. You know you can’t turn that down. Playground rules.